Sometimes our job is like running a marathon. Not every mile is awesome, but in the end it’s always amazing. I will be running my third half marathon in less than a month. 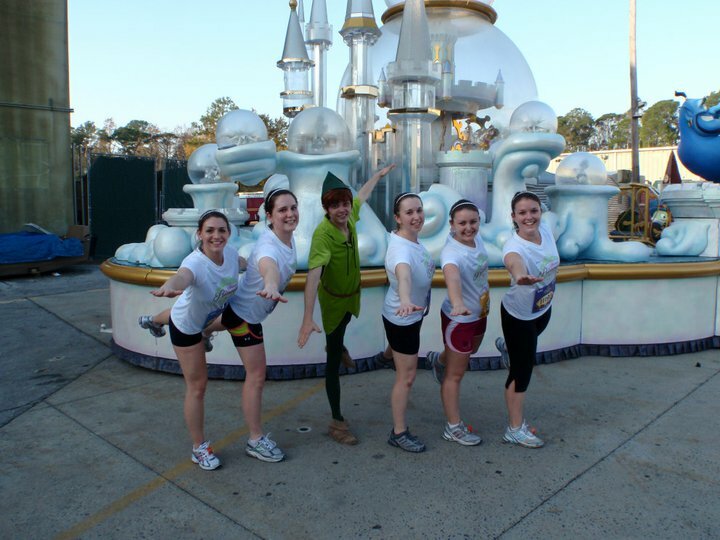 For the past two years I have traveled with a few friends from graduate school down to Orlando, Florida and participated in the Disney Princess Half Marathon. I know. Cool, right? You can dress up like a Disney character (Princess) and wear a tiara. Anyways, running a half marathon takes a bit of stamina. By all means, it does not require near the training and mental energy as a full marathon. But 13.1 miles isn’t a measly hop, skip, and a jump, either. Just for the record, everyone should know running has not come naturally to me. My athletic ability was limited to volleyball throughout high school, and running was not required by my coach. When I got to college and received the coveted “Congratulations, you’re an RA!” letter my fresh(wo)man year at Northern Arizona University in Flagstaff, Arizona, I was told the building I would be working in had the most intense staff on campus: we did PT with the Army ROTC. This required signing up for a class MWF from 6:00 – 7:30 am. Of course, I did not have to do this, but wanted to hang out with my staffies, so I did. The first half of the workout was push-ups and sit-ups, and the second half was running. Three miles every morning. Excuse me, what? I don’t think I had ever run three miles at once, at least not at 7,000 feet. I “ran” with the Army crew for the first time during the summer prior to starting my RA career. We jogged/shuffled two miles and I have never sucked so much wind in my life. It was tough, but I managed to make it through the semester without missing a single class. Since then, I have been a dedicated runner, running about three to four miles a few times a week. When my friend asked me to run the half marathon with her for the first time in 2010, I doubted my endurance, strength, and abilities. Eventually, she convinced me to sign up. We vowed to start training a few months in advance to be adequately prepared. Well, graduate student life got the best of us, and we were only able to complete one eight-mile run about three weeks prior to the race. As this was the extent of our training, my self-doubt increased. But it also put a fire in my soul: I had to prove to myself I could reach the finish line. By some miracle, we ended up running the entire 13.1 miles. Granted not every mile was easy, but when the five of us crossed that finish line, holding hands, an enormous amount of exhilarated energy flew throughout my body! As this third half marathon is quickly approaching, I know moments of the run are going to be difficult, and others will be motivating. Some days we go to bed on a high from having many wonderful conversations with our students, colleagues, or mentors. And some days are taxing and trying. But we end every year seeing our students grow and learn, and the warm-fuzzies settle into our hearts. Best of luck to you, Katie! I ran the Princess Half last year, and it was a great way to motivate myself throughout my search, as well as a great way to realize the importance of pursuing something outside my work.